Nights:	Wednesday, Friday, Saturday 10:30 p.m. – 4am. 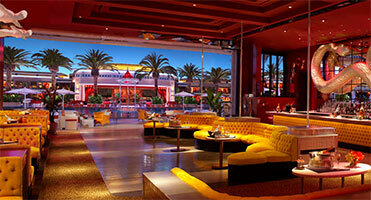 Get ready to surrender yourself to the new contender to the nightlife crown in Las Vegas. Surrender Nightclub inside the Encore resort is the new nightlife venue hitting the scene. Surrender Las Vegas is an ultra exclusive boutique nightclub which is about as opposite of the typical Vegas mega-club as can be. The central dancefloor is surrounded by comfortable booths and tables, while the DJ is set as a focal point inside the club. However, you will not be able to take your eyes off the winding serpent sculpture that dominates the entry. Surrender Nightclub Las Vegas opens out into and incorporates the pool area of the Encore Beach Club to create an indoor/outdoor experience. This popular design feature allows club-goers to be fully immersed in the club vibe while inside Surrender Nightclub, but to also get a more lounge-like feel outside. The outdoor pool area offers an environment where people can actually hear each other speak while experiencing a luxurious setting. Outside couches and pool cabanas will be a prime spot on spring and summer nights with bottle service being mandatory to secure one. 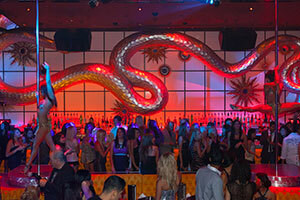 Surrender Nightclub is focused on being a nightlife venue like no other in Las Vegas. The club’s design was overseen by Steve Wynn himself and that can only guarantee that no expense was spared. 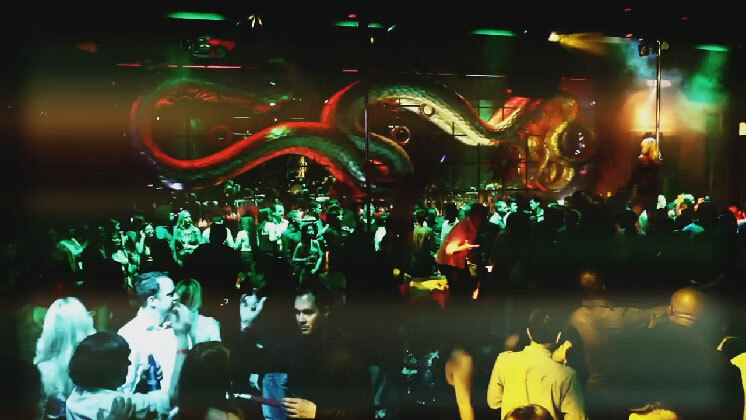 With a resident DJ as world renowned as Steve Aoki spinning on the weekends and a staff of gorgeous cocktail servers ready to keep the champagne flowing, Surrender Nightclub is sure to be the new nightlife pinnacle. Call 1-800-VEGASVIP for more info and to book a VIP table.